Aston Martin for a long time has been associated with the British spy, James Bond. 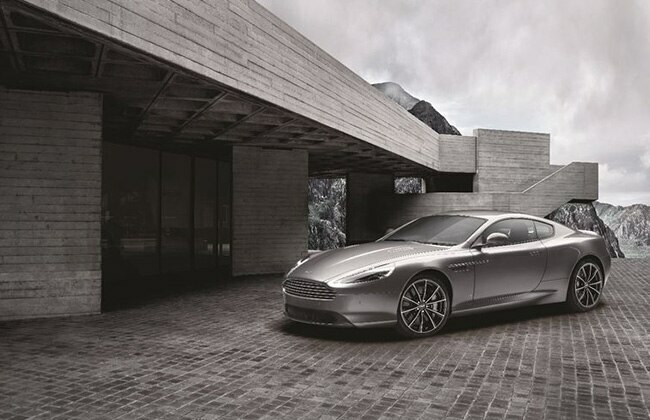 Further strengthening the relationship, the British auto manufacturer is now giving its customers a chance to feel like agent 007 with a 150 units limited ‘DB9 GT Bond Edition’. This will be the final feather in the DB9 cap as the car will now be replaced by the upcoming DB11 in 2016. The car has a lot of subtle tweaks to make it a Bond Edition like the ‘Spectre Silver’ paint scheme, 007 logo along with numbering of the car engraved onto the brushed aluminium sill plate, a unique ’Bond Edition’ badging on the exterior, new front splitter and a carbon fiber rear diffuser. Brushed Aluminium touches can also be seen on the bonnet vents, grille and side stakes. Inside, the car has exquisite embroidery with the 007 logo on the headrest and a special Bond-edition start-up screen for the AMi II touch-sensitive Aston Martin infotainment system. The car rides on 10 spoke, 20-inch black alloy wheels.